Was your ad written in Greek or English? I had one in Greek that was actually only targetting Greek people.. then I figure out there were more outside clicks than inside. Then I ran a campaign in English and it receives even more traffic. My current stats on the R4A campaign (written in english) goes like this: 70 inside clicks / 2839 outside clicks. Ok. I've given it a try. That is submitting an ad in English but targeting it to Greece only. And see how it goes. 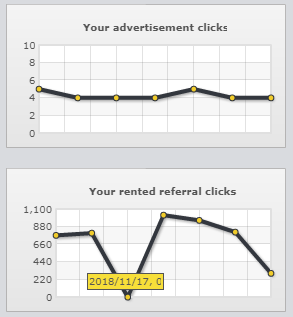 I'm also using the Clixsense campaign tracker in the ad to do a comparison of the clicks. The update is that I've gotten 3 internal and 88 externals clicks thus far. However, for some reason the CS tracker only seem to count the internal and not the external clicks. I think it's not intentional, but perhaps something to do with the code after the external ad is clicked on. However, since I only get to benefit from each sign up and not each click from promoting CS, I plan to give another program a try using this method, one I'll get to benefit from each click with anyway. Ok. I tried the same thing promoting DonkeyMails. And again it looks like they are only counting the internal clicks in order for me to get DonkeyMails' credits. I think it has something to do with that one needs to be logged in for the external click to be redirected to the full page. However, it does look like promoting R4A would still work with the external clicks. I've tried it myself and clicked on an external R4A link without being logged in. And saw that the R4A page was still being credited. I'm facing this weird issue lately, I don't seem to receive clicks once per week even though my activity is steady. Have you guys noticed the same problem? I think it's been going like this for a lot of Saturdays lately but I ignored it.. 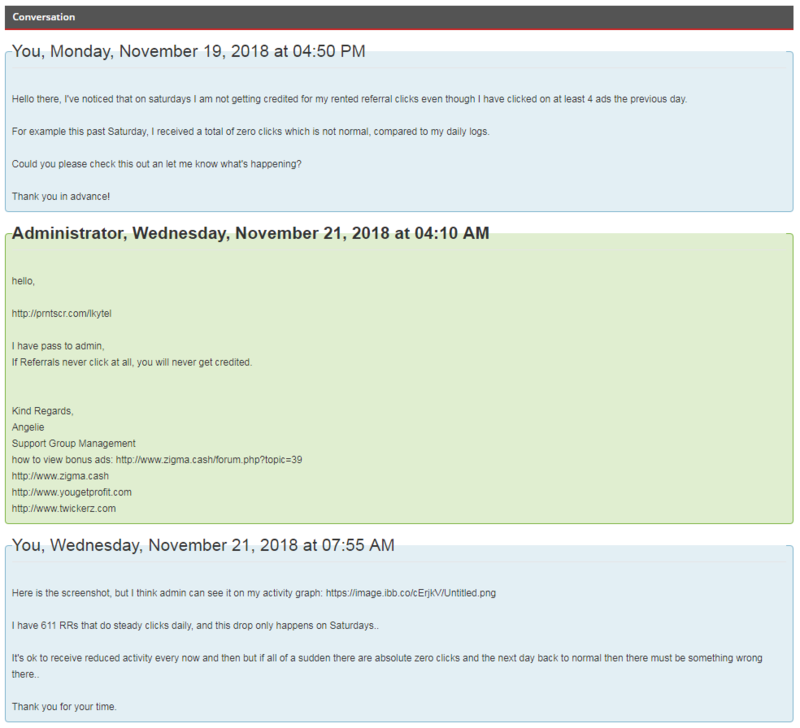 This time I've contacted support, so let's see what admin will have to say about this.. Anyone else noticed the Bitcoin withdrawal button missing on YGP..? No, but I don't cash out there anyway. LOL! I went to the withdraw section and there are no payment buttons for me. I decided to publicly ask them about it.. So, I now got to deposit $25 in BTC.. it seems that this was almost equal to $40 before the BTC drop.. but in order to keep going I need to reinvest it. I have more than $50 ready to withdraw in YGP, so that won't be a problem for now.. I'll be doubling my current BTC as long as I get paid. Then if the price goes up before my next withdrawal I'll be in extra profit as wel. Just for the record I requested a new payment today.. let's see how long it will take. Do you have any shares left? Yeap... 3 left, and they've not even reached 100% ROI yet..
My upgrade expires at 13/11 each year..